DETAIL﻿ED SOLUTIONS to all 225 problems in the form of PowerPoint presentations are available on a CD here. The CD also contains solutions to this workbook. 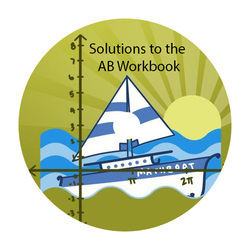 "I have ordered one workbook for each of my students and the PowerPoint solutions for myself. We are finding your explanations far better than the solutions/explanations in Barron's, Princeton's, or Kaplan's prep books." -Michelle M.